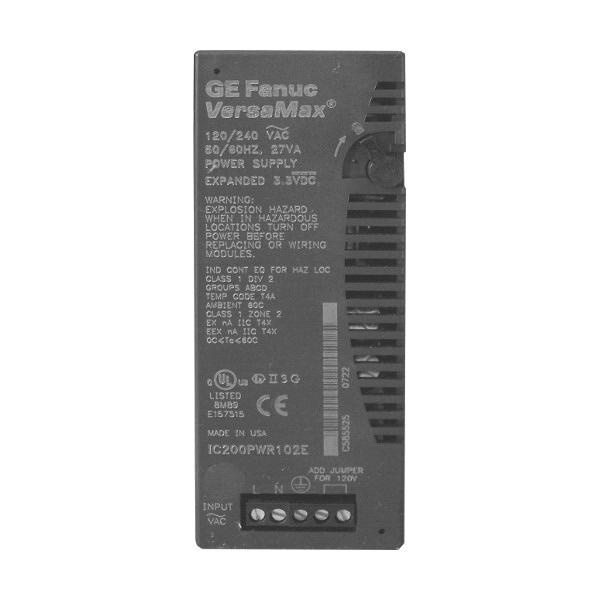 GE Fanuc VersaMax® Power supply module provides short-circuit and overload protection. This module operates at voltage rating of 120/240-Volt AC, 5/3.3-Volt DC, current rating of 1.5-Amps and power rating of 27 VA at a frequency of 47 to 63-Hz. It can be used as the main power source for modules in the I/O station or as a source of supplemental power for larger I/O applications.